Japan is a culinary dream where you can have exquisite, unforgettable meals… if you love meat and fish. If you don’t, it can be a little tricky to say the least. I went to Japan with someone who wasn’t a vegetarian, but he was very particular about the kind of meat he ate, and he almost starved. So if you’re actually a vegetarian, you may be in trouble. Japan is not the most vegetarian-friendly country. It’s not out of disrespect or lack of consideration, so save your entitled and misguided outrage. The Japanese simply don’t have a clear concept of what it means to be vegetarian. Everything they eat has meat or at the very least is made with fish broth, because that’s simply how they eat. And I do mean everything. The things you think are safe, like a cheap bowl of ramen will probably still have a pork floating in it. We eat meat here; deal with it. 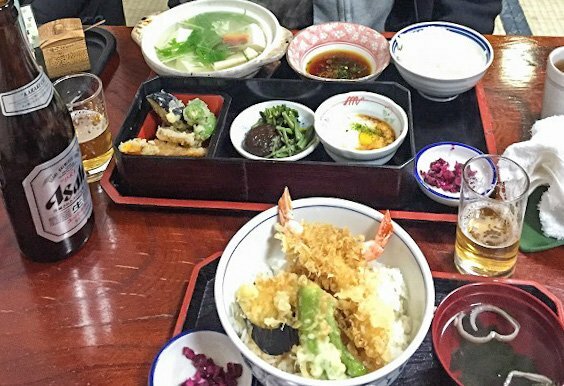 So you’ve arrived in Tokyo and you’re starving? What are you supposed to do? Learn a few helpful Japanese phrases. Great, right? Awesome. Here’s the problem I have with this bit of advice. How many times have you been in a situation where you can’t understand another person so you ask them to repeat themselves six times, and eventually you give up and smile and nod. You see where I’m going with this? When you tell a Japanese person who speaks no English the phrase you spent hours practicing, they may or may not understand you. But they may still assure you that you’re eating vegetarian when you’re not, especially because the use of fish broth or fish stock is so ubiquitous that they don’t even consider it meat or fish. Bookmark some vegetarian restaurants in advance. 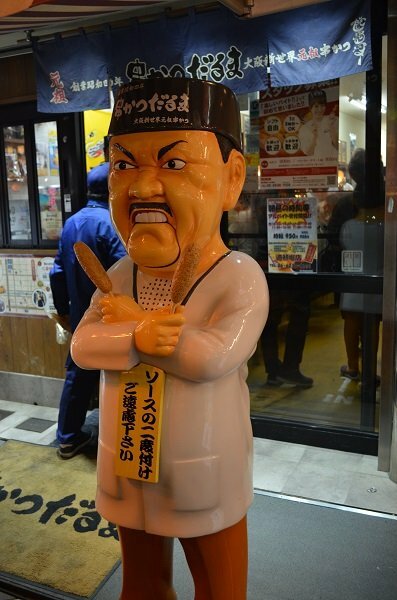 You’re not the first vegetarian to step foot in Japan and you won’t be the last. But if you want to survive, you’re going to have to do your research. So use Yelp and TripAdvisor to find legitimately vegetarian options instead of wasting hours of your time trying to ask unsuccessfully for a salad. There are some great options located in many of Tokyo’s major train stations. That sounds weird, but it isn’t. Some of the best restaurants in Japan are located in train stations. 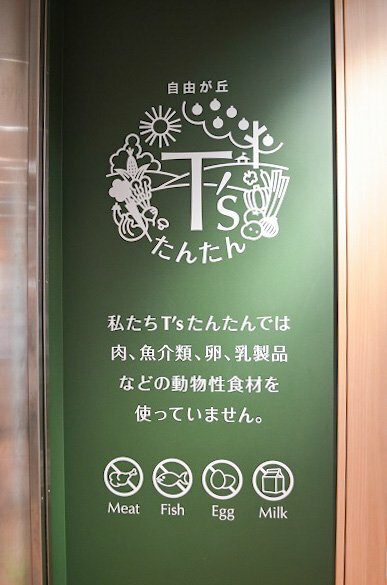 In Tokyo, for example, T’s Tan Tan is a fantastic little nook to get an excellent vegetarian bowl of noodles or rice and vegetable tempura. Even if you’re not a vegetarian, you’ll enjoy it. Luckily, Buddhists are vegan and Japan is nothing if not full of Buddhist temples. This is especially true in more traditional cities like Kyoto, where you can enjoy shojin ryori, vegan Buddhist cuisine, at one of the city’s temples. It’s a little more expensive than your average meal but you can be sure that if you’re eating at the temple dining room, you are having a strict vegan meal. 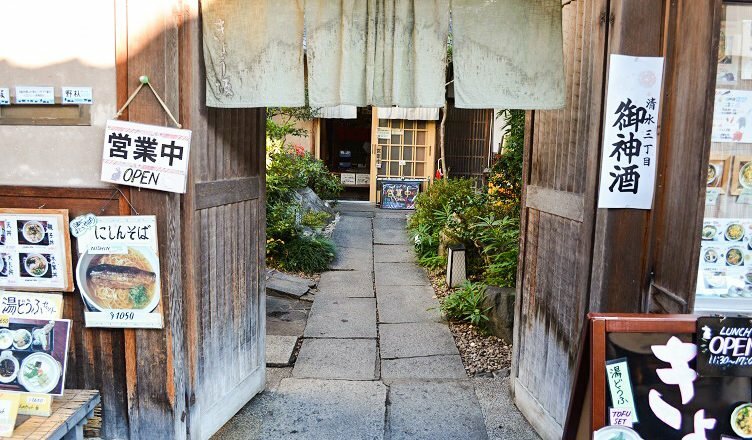 One popular option is the restaurant Shigetsu, which is located on the grounds of the Tenryuji Temple. Enjoy Buddhist-friendly meals outside the temples. A good tofu set will appease even the pickiest vegetarians. Or you can just give up and go for that tempura shrimp. Though it may be harder to find, there are restaurants outside of the temples that serve Buddhist meals, or “sets.” The upside of this is that it will be cheaper than eating in a temple restaurant and won’t require you to pay for admission to the temple every time you want to eat. To find these, you can either turn to the internet or use good old deductive reasoning. If a place serves traditional Buddhist cuisine, it will likely be traditional in other ways. So if you find a restaurant where you are required to remove your shoes and sit down on the floor to eat (as a requirement, not an option), then you’ll probably be successful using the Japanese phrase you learned in #1. If you’re still starving, and you found an errant octopus in the tofu bowl you thought was vegetarian, you can still survive out in the wild. 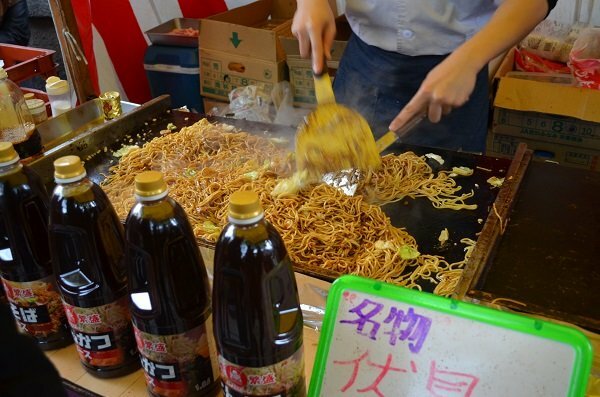 There are plenty of street vendors selling everything from tofu on a stick, to soba noodles and teriyaki dango, which are rice dumplings. The good thing is that since they’re making the food out in the open, you can see what ingredients are being used. There are also 7/11s on every corner, they’re open all day, and they’re like small grocery stores. You can find snacks, bread, rice balls, or at the very least three aisles of gummy candy. It’s not a great meal, but at least you won’t die on your vacation. The key is to be flexible. There’s nothing more frustrating than being hungry and finding nothing you can eat. But be Zen about it; don’t be hangry in Japan.